Emotions run high after a dog attack, especially if the victim is a child. We understand how traumatizing the experience can be, and our empathetic and compassionate attorneys are here to help you through the ordeal. If you or a loved one has been attacked by a dog, then you will need an experienced lawyer who is familiar with your state’s specific dog bite laws and regulations. If attacked by a dog on public or private property, you want Lerner and Rowe on your side. We provide excellent client care; and a Seattle dog bite lawyer know how to work with industry experts to ensure proper handling of your dog bite injury case and settlement to the full extent of the law. Our attorneys have a proven track record of recovering damage settlements and costs associated with lost wages, medical bills, future reconstructive surgery, and ongoing emotional and psychological counseling. . Our fees are contingent on the success of your case, there are no up-front or out-of-pocket costs; you pay nothing unless we win your case. The integrity of our firm is unparalleled, so don’t delay in calling us at 844-977-1900 or using our online chat system for a free quote. 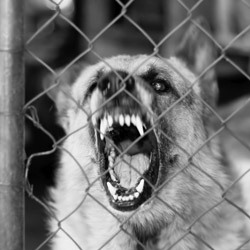 After a dog attack you should seek immediate medical attention, call the police to file an incident report, and then contact us here at Lerner and Rowe. 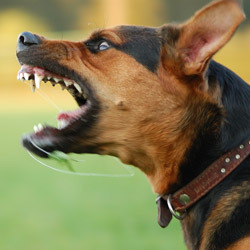 The statute of limitations for filing a dog bite law claim in Washington state is three years. After the three year period has passed you will no longer have a plausible case for our attorneys to go off of. If you received medical attention, make sure to keep a copy of all documents for your personal records. An attorney can use these medical records to help build a strong case and also, get you the maximum compensation you may be entitled to. Contact a Seattle Dog Bite Lawyer! According to Washington state law, the owner of a dog is liable for any injuries the dog inflicts; so long as the victim is in a public place; or lawfully in a private place, and also, the victim did not provoke the dog. Landlords are generally projected from liability; except in cases where the landlord is the keeper or also, harborer of the dog. So, contact a Seattle dog bite lawyer today. Call 844-977-1900 to schedule a FREE initial case review; submit an online case review form today; or chat with a live representative.